Accessible Qatar, an initiative by Sasol, is a smart phone application and website, where the disabled community is able to view the public and touristic locations and outlets in Qatar and see whether they are accessible and in what way. Combining expertly-audited accessibility data with user-submitted reviews and ratings, the disabled community and tourists will be able to move about more confidently, knowing they can arrive and leave any spot without unwelcomed surprises that limit access. Accessible Qatar builds on Sasol’s ongoing Definitely Able CSR initiative. The concept for the initiative grew out of a session held during last year’s Definitely Able Conference, where disabled individuals from around Qatar, the region and the world discussed inclusion for people with disability as full members of society. Having accessibility information publicly available on Accessible Qatar will encourage venues to make necessary modifications in support of accessibility for all patrons. Accessible Qatar will support promoting Qatar as an accessible destination. Ministry of Municipality and Environment (MME) is a service Ministry directly related to the general public, in order to meet the many requirements of their daily life, and contribute through its subsidiary departments, municipalities and centers, to the rapid development of the State of Qatar. This is in line with Qatar National Vision 2030, that aims to place the country among the developed countries, based on the pillars of human development, economic, social and environmental development. National Tourism Council’s mission is to firmly establish Qatar on the global map as a world-class tourism destination with deep cultural roots. In 2014 NTC launched the Qatar National Tourism Sector Strategy (QNTSS), which seeks to diversify the country’s tourism offering and increase the sector’s contribution to Qatar’s economy by 2030. NTC works in partnership with public and private stakeholders to plan, regulate and promote a sustainable and diverse tourism industry. As part of its regulation efforts, NTC released a new hotel grading and classification system in January 2016, paving the way for a more sustainable, environmentally-friendly, and accessible hospitality sector. Uniquely, this new system holds developers, owners, management and operators equally accountable for the property’s classification. In 2016 NTC partnered with Accessible Qatar to ensure that disabled individuals in Qatar, whether visitors or residents, benefit from the new standards of accessibility in the country’s tourist establishments and venues. Along with its stakeholders, the SC is tasked with delivering stadiums and other infrastructure, as well as host country operations, for an amazing 2022 FIFA World Cup™ that leaves a lasting legacy for Qatar, the region and the world. 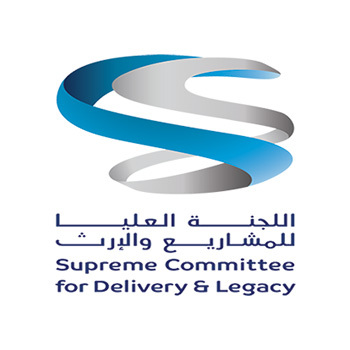 Shafallah Center was established in 1999 under the guidance of Her Highness Sheikha Bint Nasser to meet Qatari society need to create a comprehensive, leading, and non-profit center dedicated to children with special needs. 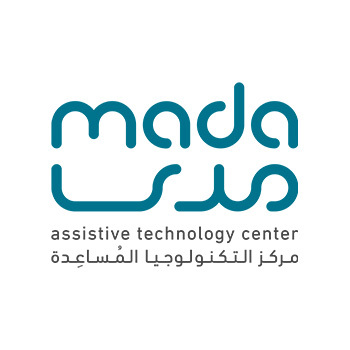 The center provides specialized services in accordance with scientific basis and standards within the best practices to achieve maximum independence for individuals with disabilities, and to spread disability awareness through a highly efficient team of world-class programs. Qatar Social and Cultural Center for Blind was established in the year 1984 in accordance with the Provisions of Law No. (5), Law No. (21) for the year 1987, and Law No. (17) for the year 1994 to regulate clubs under the supervision of the General Youth Authority. The idea of establishment rooted from the deep faith for the blind community’s rights to showcase their abilities and skills. The Center’s objectives are discussing about the blind community in cultural exhibitions, festivals and lectures and prompting them, enhancing communication between the blind, visually impaired and the community, spreading awareness among the blind through various ways, removing obstacles from the blind community’s lives, working with the blind on beneficial topics and prompting the relations between the center members and the members of the Arabic and international centers. 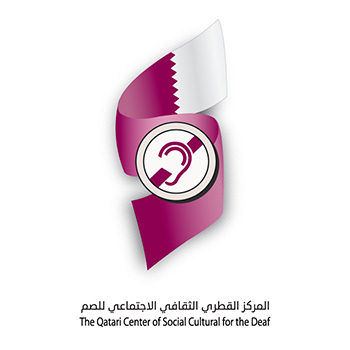 QCSCD is the first center of its kind in Qatar specialized in caring for People with Audio Disability in the fields of education, awareness, and entertainment. Our Programs and interests cover all groups of People with Audio Disability (Male/Female) regardless of their nationality and age. QCSCD is under The General Authority of Youth organizationally, administratively and financially. QCSCD became a member in the World Federation of the Deaf in July 2007. Best Buddies International is a nonprofit organisation dedicated to establishing a global volunteer movement that creates opportunities for one-to-one friendships, integrated employment and leadership development for people with intellectual and developmental disabilities. Best Buddies Qatar was founded in 2008 by Her Highness Sheikha Mozah Bint Nasser Al Misned, and it has been working under the umbrella of Qatar Social Work Foundation since 2013. To empower women and men in the region - in particular the youth - with the capacity to contribute to their own sustainable human development through the fields of education, science, culture, communication and information in close partnership with member states, the private sector, and civil society. 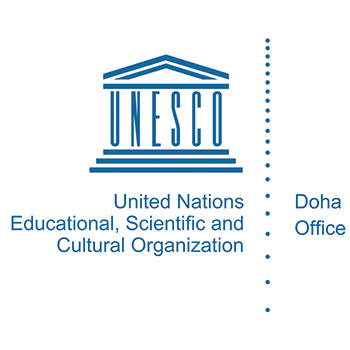 Qatar National Commission for Education, Culture and Science was established on February 25th. 1962 and joined the following Arab, Regional and International Organizations • United Nations Educational, Scientific and Cultural Organization "UNESCO" (1972) • Arab League Educational, Cultural and Scientific Organization (ALECSO) (1975) • Arab Bureau of Education for the Gulf States (1975)(ABEGS) • Islamic Education Science and Culture Organization (ISESCO) Qatar National Commission for Education, Culture and Science has been effectively contributing to achieving the goals of the international organizations which are aligned with Qatar Educational objectives on the one hand and with the goals set by Qatar National Commission on the other hand. This happens through the implementation of a range of programmes, projects and activities in different fields, and in close collaboration and coordination with national, regional and international partners in order to promote citizenship, human rights, justice and human dignity. Qatar National Commission for Education, Culture and Science seeks diligently to make Qatar's membership in international, regional and Arab organizations a successful investment for the benefit of all aspects of the educational, scientific and cultural activities in the State of Qatar, and contribute to Qatar's national development in accordance with Qatar National Vision 2030. 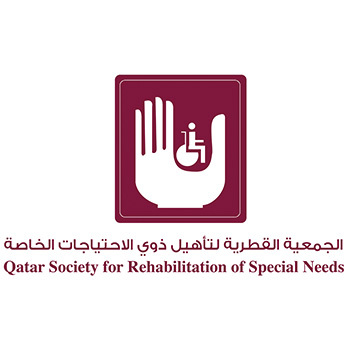 The new form of the Qatar Society for Rehabilitation of special needs website is honored to serve all its visitors to support people with special needs by providing all the activities, electronic services, methods of communicating with the Society and all associations’ affiliated centers within the State of Qatar.